Helps maintain melatonin, GABA, and serotonin levels to promote healthy sleep and help manage stress and anxiousness. 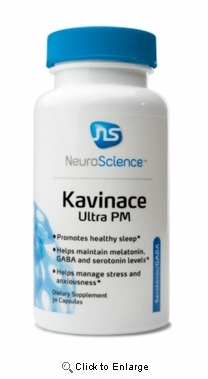 Kavinace Ultra PM by NeuroScience™ combines three powerful ingredients to promote the onset and improve the quality of sleep. Included in this formula is the GABA derivative, 4-amino-3-phenylbutyric acid, which easily crosses the blood-brain barrier and acts as a GABAB agonist. 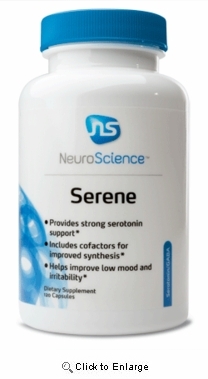 (1) Kavinace Ultra PM also contains 5-HTP to support the production of serotonin, which is the precursor to melatonin. The final ingredient is melatonin, which helps regulate the sleep-wake cycle while promoting restful sleep. 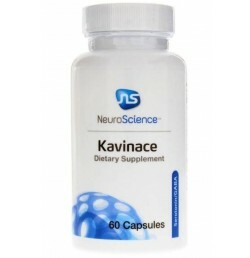 (2,3) Kavinace Ultra PM contains stronger GABA support per capsule than Kavinace and is specifically designed to promote restorative sleep by supporting calming neurotransmitters and hormones important for a healthy sleep cycle.